What About Kuala Lumpur Sentral? 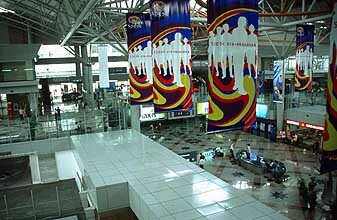 Kuala Lumpur Sentral or KL Sentral as it is commonly referred to, is basically the central point of new Malaysia. KL Sentral refers to about 290,000 square meters of development built in Brickfields on the former Keretapi Tanah Melayu yard. The development includes the transportation hub, entertainment and convention centers, hotels, office towers, condominiums and shopping malls. Being a major attraction in Kuala Lumpur city, it offers global connectivity, has great investment opportunities for both local and foreign investors, and it also has an international lifestyle which makes it a very business convenient destination. In addition to these master plan features, this fascinating attraction boasts in having a nucleus rail station, corporate office towers and business suites, shopping malls of international standards, and of course it would not be complete without having a great entertainment centre which relaxes and attracts more investors. This is where the main Railway Station of Kuala Lumpur is housed. The city of Kuala Lumpur Sentral has vivacious streets, decorated with modern office towers. 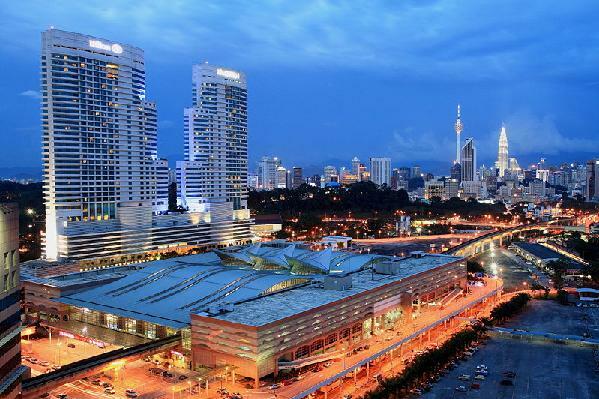 It is also a cosmopolitan city with an endearing spirit of growth that denotes Malaysia's rich culture. First time visitors to Malaysia get an opportunity to see what is in store for them as a whole when they are in Kuala Lumpur about Malaysias richness, as they prepare to explore more of its parts. KL Sentral, in other words, is the icing on the cake which people get to taste before eating the real cake. There are a couple of hotels within the vicinity. The Kuala Lumpur Sentral hotels including the Hilton Kuala Lumpur and Le Meridien Kuala Lumpur. They are both five star hotels with international awards. Facilities to expect from these Kuala Lumpur Hotels range from babysitting, bar, beauty salon, concierge, laundry, massage, and not forgetting high speed internet access and TV to keep in touch with loved ones or current affairs. All these hotels can be booked online, which has an instant confirmation. Being a first time visitor in KL Sentral, one doesnt have to worry about transportation. The Kuala Lumpur transportation is another feather on KL Sentrals hat. There are a number of domestic airlines serving popular tourist destinations. One can also opt for rail services or bus, which are both air conditioned and non air conditioned. Cars are also available for hiring. One can opt for either self drive tours or taxis, which are pocket friendly and a rapid means of transport across the states. With all this rich culture and great investment opportunities, one can only hold themselves responsible for not visiting this once-in-a-lifetime destination. On each visit to KL Sentral, one discovers a new spot, which is worth the visit. The beauty of the place is also enhanced by the numerous, ever-smiling and hospitable people of KL Sentral. Visiting KL Sentral is worth every penny. This is where you go to when the whole world literally chases you out, when you need to discover your inner self, when you have so much to invest and so little to invest on, or when you just need to be you. The next time you think of touring a new place, give Kuala Lumpur Sentral a consideration  it is worth it!